Hello. Do you need a nice case? Look at this pattern. 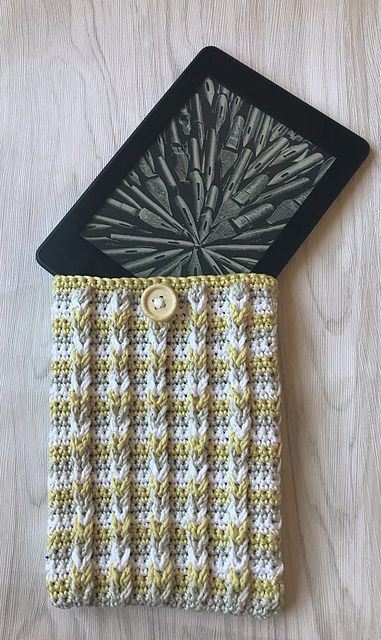 It’s a great design for a tablet case. Your equipment will be safe. It’s a free pattern. It’s easy to make. iIt has beautiful bright colors. Change them according to your preferences. Its stitch is very effective. 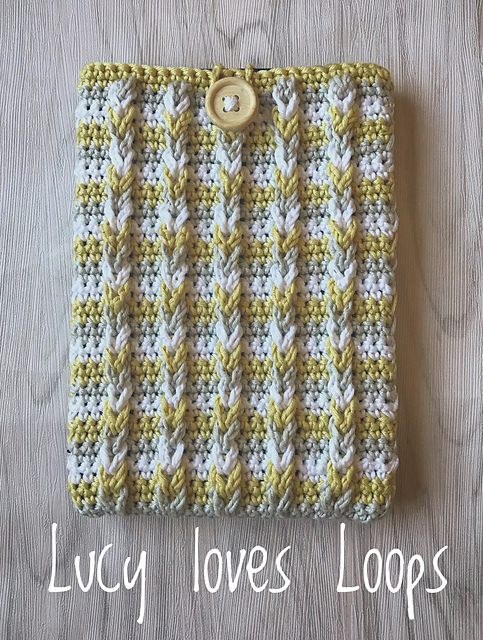 Cable Kindle Cover Free Crochet Pattern is here.